Regular commercial bleach can be harmful to your skin, lungs and even your septic system. 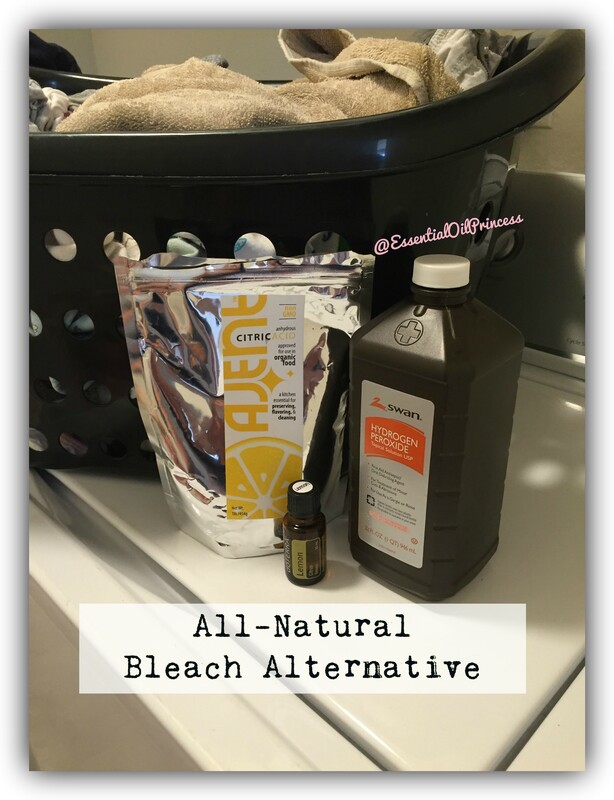 Use this all-natural bleach alternative with lemon essential oil to whiten whites the natural way! Add hydrogen peroxide, lemon juice, citric acid, and lemon essential oil to the bottom of a 1 gallon jug. Mix well by giving it a gentle shake. Fill the rest of the container with water and shake well to combine. Add 1 cup of bleach alternative to laundry as usual. Store for up to 1 month in a 1 gallon container a cool, dark place.